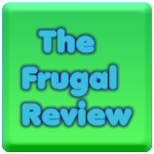 FRUGAL REVIEW: Summer Bridge Activities Coupon Code! Give your child a jump-start on the new school year with Summer Bridge activity books! I have bought these for my kids for the past two summers and I am ordering one for each child for this summer. Summer Bridge activities are broken up into small, fifteen minute activities. Your child does one activity per day. Summer Bridge Activity books have helped both of my kids get a jump start on the new school year! Use coupon code BRIDGE20 to get a 20% discount. Don't wait! Summer will be here before you know it. Thanks for letting me know. The code has expired, but there is a new code out: SBA25. Use it to get 25% off!